They say the strength of a chain is measured by its weakest link. The same may be true for the Quad, the group of four Indo-Pacific democracies—Australia, India, Japan and the US—that gathered in November for their third security dialogue in 12 months. Since the Quad was revived in November 2017 after a 10-year hiatus, international observers have been left with myriad questions about the group’s intentions and objectives, with many portraying it as some form of anti-China coalition. They seem clear on one thing, however: if the group has a weak link, it is undoubtedly India. Delhi indeed appears to be the outlier among the four, seemingly the least enthusiastic about the Quad’s potential and the most anxious about provoking a backlash in Beijing. India was widely considered the weak link when the Quad was first established in May 2007. At the time, Delhi was still in the early stages of a reorientation away from its non-aligned past towards more robust strategic partnerships with the US and Japan. After facing down internal resistance to participating in the first quadrilateral security dialogue, partly for fear of alienating China, the Indian government was left jaded when Australia withdrew from the group in early 2008, ironically in deference to China’s sensitivities. In the years that followed, India dismissed appeals from Japan and the US to revive the Quad before finally relenting in mid-2017. 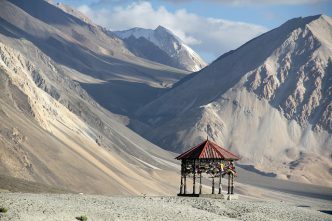 The decision came after a particularly contentious few years in China–India relations, replete with major differences over China’s Belt and Road Initiative, its efforts to deny India membership in the Nuclear Suppliers Group, its protection of Pakistan-based terrorists from sanctions, and an unprecedented border standoff on the Doklam plateau in the northern summer of 2017. With the Quad now restored, why is India still considered the weak link, and where does it diverge with the others? First, India’s reticence is evident in its desire to keep the Quad relegated to mid-level representatives. Whereas Canberra, Tokyo and Washington have signalled their interest in promoting the dialogue to the level of minister/cabinet secretary, Delhi has been clear that it prefers to keep it at the level of joint/assistant secretary. 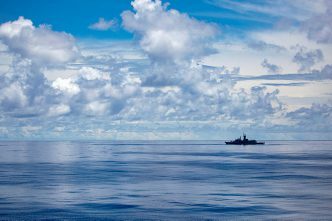 Second, India has resisted efforts to elevate the Malabar naval exercise to a quadrilateral affair. 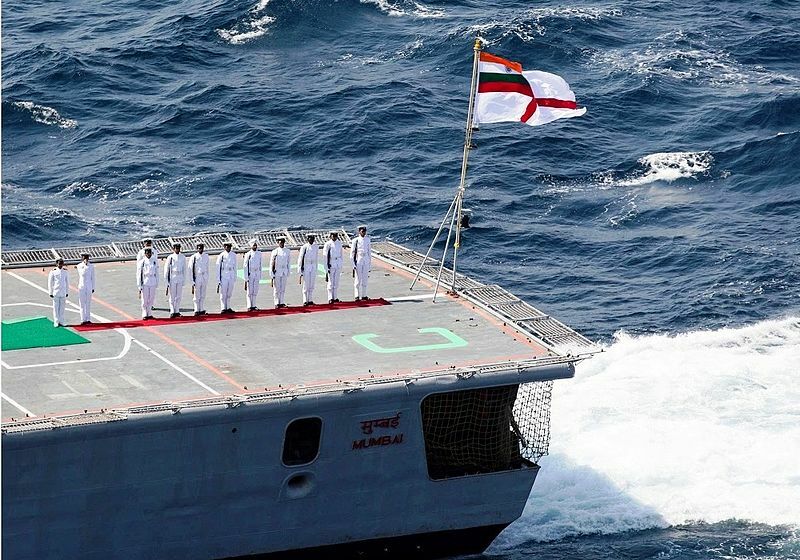 A bilateral India–US naval exercise begun in the 1990s, Malabar became synonymous with the Quad in 2007. Months after the inaugural dialogue, Malabar was expanded to include naval assets from all four countries (as well as Singapore). The exercise was again downgraded to a bilateral initiative after the Quad collapsed in 2008. However, Japan rejoined the exercise in 2009, eventually being inducted as a permanent member in 2015. By contrast, Australia’s private and public lobbying efforts to rejoin Malabar have been rebuffed by Delhi each year since 2015. Third, among the four, India has sought to frame the Quad in the most inclusive, least confrontational terms. It has also underscored the importance of separating the Quad from the ‘free and open Indo-Pacific’ concept that has come to embody the group of rules, laws and norms that have governed the region for decades but are increasingly under duress. Some see the Quad as the ‘muscle’ that could one day be called upon to defend that order, but India continues to underscore the importance of separating the two. India’s approach to the Quad is influenced by several factors. India believes it has more reason to fear China’s wrath. Delhi has traditionally been cautious about alienating Beijing and wary of joining multilateral initiatives that could be perceived as anti-Chinese or resembling a balancing or containment coalition. In part, this anxiety springs from a misperception about how Beijing operates—that it’s more deferential to the interests of those who appease it. However, India is also driven by more pragmatic considerations. It’s the only member of the Quad with a large land-border dispute with China and the only country that has faced a Chinese invasion over the past century. Compounding the problem, India is also the only member of the Quad without formal security guarantees from other members. India is taking a wait-and-see approach with Australia. Some Indian analysts argue privately that its cautious approach to the Quad has less to do with worry about offending China than with fear that Australia is potentially compromised by Chinese influence. Delhi has far more confidence in the American and Japanese dispositions. It prefers to pursue the most meaningful strategic initiatives at the bilateral level and the robust trilateral Japan–India–US strategic dialogue. Indian experts privately admit that Australia showed more ‘backbone’ towards China under the Turnbull government (2015–2018) but say they’ll need to see a Labor government display the same resolve before they can be confident of Australia’s commitment. India picks its battles. India may be the most reluctant member of the Quad, but it’s actually been the most steadfast in confronting Beijing in other arenas. Consider: India was the first member of the Quad to halt diplomatic endorsements of Beijing’s ‘One China’ policy back in 2010, insisting that China first recognise India’s sovereignty claims in Kashmir and along the China–India border if it wanted reciprocal treatment. 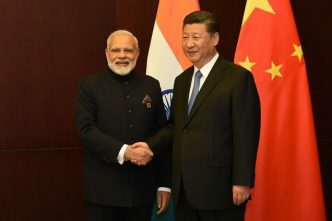 As important, India was the first member of the Quad to raise major concerns about China’s expansive Belt and Road Initiative, opposing the ambitious project at the outset. Last year, Australia, the US and several European countries began voicing many of the same concerns and shifting to a position of hostility towards the BRI. Finally, India showed resolve in staring down the People’s Liberation Army during the Doklam border dispute. India wants options. Delhi may see one benefit to slow-walking the Quad and Malabar: it offers additional tools for signalling to Beijing in the future. At the moment, India’s relations with China are stable. Beijing has even launched a charm offensive recently in Delhi as it grapples with how to respond to unexpected broadsides from the Trump administration. 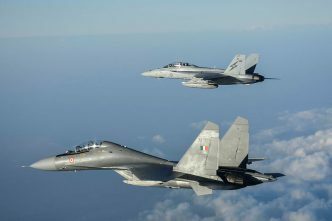 India may see upgrading either the Quad or Malabar as a useful strategy for responding to any future Chinese provocations. While the rest of the Quad must acknowledge India’s unique position and sensitivities, kindling Delhi’s enthusiasm for the initiative is likely to depend less on reassurances from the democracies and more on China’s behaviour. If the perceived threat from China grows, the gravitational pull of the Quad will grow stronger. If it doesn’t, India’s enthusiasm for upgrading the Quad will remain subdued. Ultimately, however, the differences between India and the other three democracies pale in comparison with their shared interests and objectives—namely, upholding and defending their interests and the rules-based order under new challenges from a rising China. Even if India slows the pace of progress in the short term, the long-term benefits of its inclusion appear to far outweigh the costs. In any event, there may be a silver lining to India’s slow-dance with the Quad. 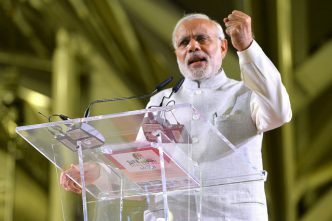 ‘The beauty of the Quad’, notes Australian scholar Rory Medcalf, ‘is that it makes the world safe for trilateralism.’ With international attention focused so squarely on the Quad and its modest progress, India has been quietly breaking new ground on an almost monthly basis with Australia, Japan and the US at the bilateral and trilateral levels. Jeff M. Smith is a research fellow at the Heritage Foundation in Washington DC. Image courtesy of the Indian Navy on Wikimedia Commons.